Manufacturers use parts from other brands all the times. It can be significantly cheaper to source parts-counter bits than creating your own. Sometimes those brands are in the same family, though sometimes they’re not. 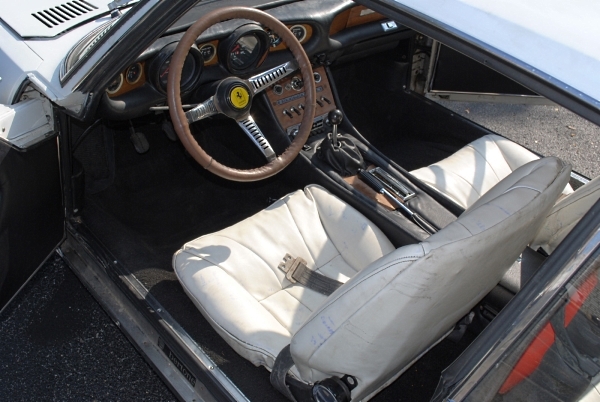 Ferrari used Alfa Romeo Spider exterior door handles on several models throughout the years. Aston Martin used Volkswagen Audi Group head- and taillights on their 1989 Virage; later DB7 models used Mazda Miata interior door handles. Heck, the Jaguar X-Type is more notable for the parts that aren’t sourced from the Ford Mondeo. 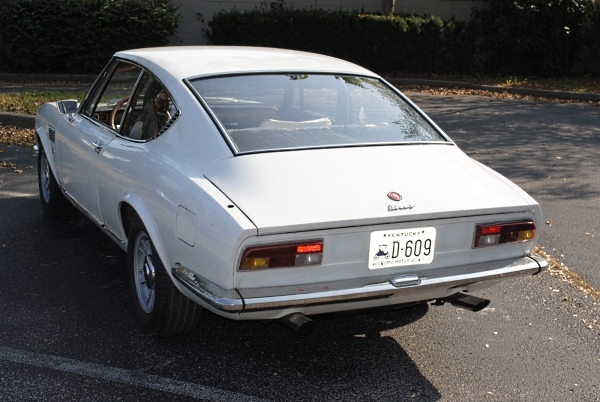 Then we have the Fiat Dino, in Coupe and Spider formats, produced from 1966 to 1973. Under their hoods beat Ferrari V6 hearts in 2.0-liter or 2.6-liter capacities. Ferrari and Fiat have had a long and sometimes illustrious – though certainly entertaining – relationship over the decades. 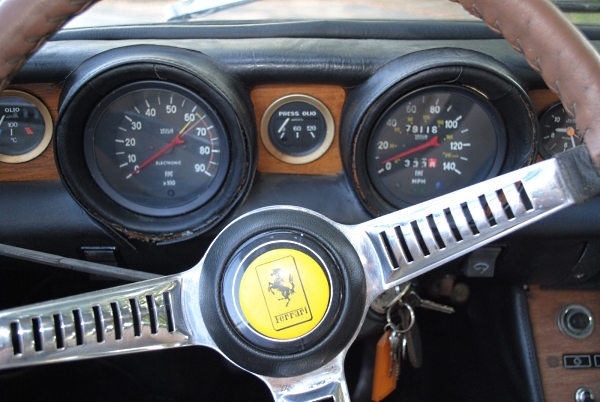 The Fiat in this case – panned for its pedigree as a poor-man’s Ferrari – allowed for greater production of Ferrari’s then-new V6 for racing homologation purposes. Ferrari’s own mid-engine Dino wouldn’t debut until 1968. History is history, as they say, and the Dino Spider has greatly increased in value. Excellent Dino Coupes, while less valuable, are still commanding real money. Luckily, this 1967 that recently sold in Kentucky is not an excellent example, and so what I am about to suggest would be considered heresy only by the staunchest of originality fiends. Let’s start with the most glaring issue. The Ferrari 2.0-liter V6 has been replaced by Fiat 124 four-banger of unknown size. Could be a 1.4-liter, could be a 2.0. Who knows? Either way, the little twin-cammer is being fed by a Holley carburetor and sparked by an MSD electronic ignition. Presumably the transmission is Fiat 124 as well, so we can at least hope for five forward gears. Truthfully, the little engine doesn’t look completely of place. The install and the engine compartment itself look clean, but not too clean, and the underside – chassis and mechanical bits – looks solid and dry enough. I especially like how they’ve retained the stock-style dual exhaust despite the inline-four’s single header. The body is said to be “essentially” rust free, which on an old Fiat is as good as you can expect. I even kind of like the color, which works well on the curvy folded-paper body. 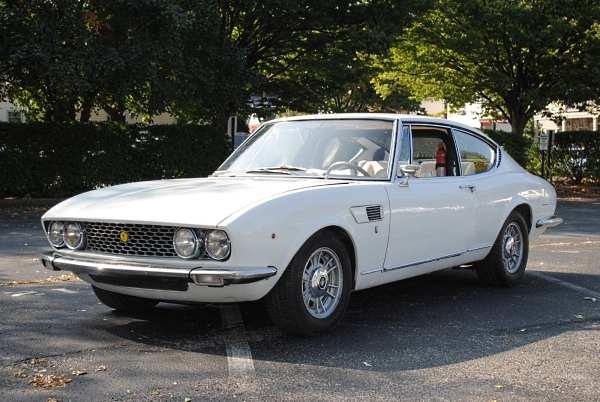 It really is a classically handsome Bertone design, with a slightly furrowed brow, a tall greenhouse, and subtle hips at the rear. The Campagnolo wheels fit the visage perfectly. The interior is more unfortunate in white with subtle blue stains, accentuated by trim that seems to be unraveling everywhere you look. Fixable? Sure, but at what cost? If you’re handy, it’s a month of weekends inhaling vinyl adhesive and bleach fumes. I like the look of the original radio, but I can’t quite figure out the presence of 1980s BMW power window switches. Someone also bolted (welded?) in a 70s-style rollbar. But – because there’s always a ‘but’ to these stories – this scruffy old thing appeals to me in a weird way. My first thought when I read the ad was, “Alfa Romeo V6.” Almost any Alfa V6 would work – and by ‘work’ I mean ‘if you’re going through all the effort’ – but I’d choose the 3.0-liter, 24-valve unit from a late 164S. It made 230 horsepower in stock form, so assuming a freer exhaust and intake, plus engine software, you may get to 250. Which in this car is a lot, fully 70 over the stock 2.0-liter with improved drivability. Now, I know what you’re thinking. The 164S was front wheel drive, and clearly this Fiat is rear wheel drive. True, but others have put sidewinder Alfa V6s into older, rear-drive Alfa 105/115-series GTV coupes. What are the odds the V6 will bolt up the existing Fiat transmission? I give a 50/50 at best. Or worse. 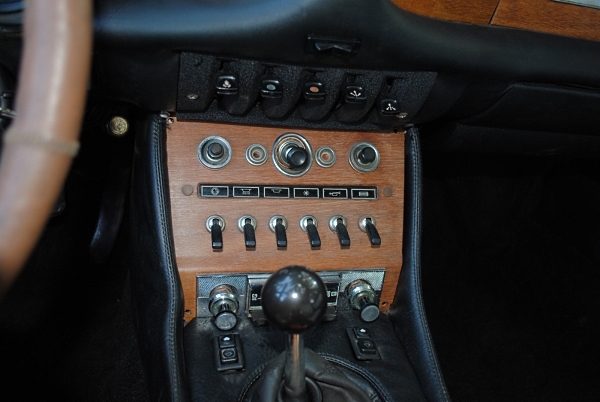 There is a guy in California who seems to have figured out a bellhousing arrangement to adapt the V6 to what I assume is an Alfa Romeo 105/115-series 5-speed gearbox. 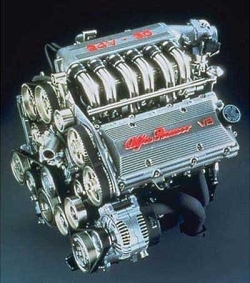 Side Note – you could use an entire Alfetta GTV6 driveline if you were feeling really creative. 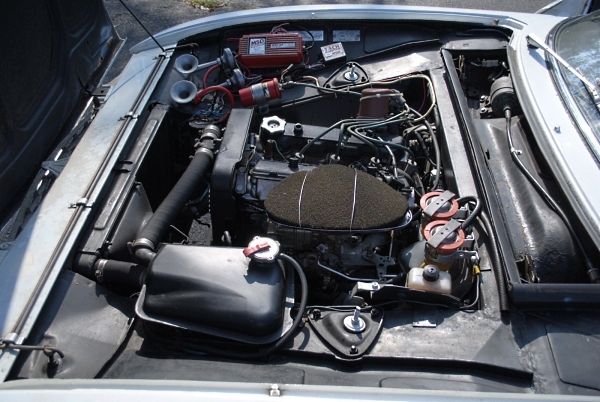 Stock, it utilized a 2.5-liter, 12-valve V6 and 5-speed transaxle. Figuring out the length of the driveshaft and converting the stock leaf spring and solid axle rear suspension to the Alfetta’s independent arrangement might be a trick. The rest of the mechanical work merely involves updating and refreshing – brakes with upgraded pads, lines and fluids; new bushings, ball joints and shock absorbers; maybe wider wheels and tires if you could find a way to keep the original look. For the interior, I’d think about changing to any color other than white. Now that I think about it, the rollbar may come in handy. While I don’t think this would be an easy project, the car’s relative simplicity would lend itself well. 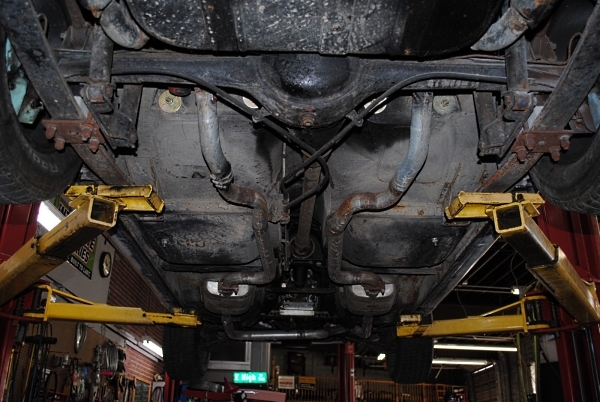 The hardest part is converting the V6 to rear-drive configuration – oil pan and pickup? headers? – and then there’s the assumption the bellhousing and transmission will somehow just work out. I can’t help but imagine hearing the Alfa V6 fire through open headers the first time would make it all worthwhile. 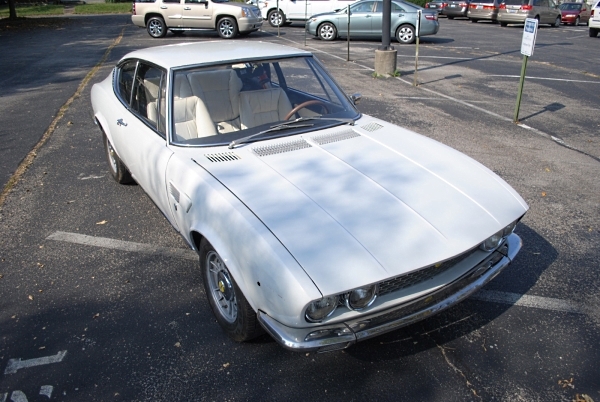 This entry was posted on Friday, November 1st, 2013 at 2:45 PM	and tagged with 164S, Alfa Romeo, Alfetta GTV, Aston Martin Virage, Ferrari Dino, Fiat 124, Fiat Dino, GTV6, Spider and posted in Totally That Stupid. You can follow any responses to this entry through the RSS 2.0 feed. « Fiscal Responsibility & Financial Planning – TTS Style!